Almost exactly 89 years ago, on August 5, 1924, a new comic strip began in a small newspaper in New York. In a few years, it was one of the most popular comics across North America. Little Orphan Annie was about a feisty orphan girl, her dog Sandy, her benefactor Daddy Warbucks, and a cast of other characters. Harold Gray was the cartoonist. In 1969, a man named Martin Charnin decided he wanted to create a stage musical based on that comic strip. It took several years to get a theatre interested in producing such a show, but he finally got word from Goodspeed Musicals in East Haddam, Connecticut, that they would take a chance on his idea. Goodspeed is a unique theatre in that, besides staging successful shows that have been on Broadway, they also provide a place for people to put new shows “on their feet” — they are a developmental theatre. These days, they have a separate theatre, the Norma Terris Theatre, for their developmental projects, but back in 1976 when Goodspeed took a chance on Martin Charnin’s idea, the play was staged in the main theatre. Annie opened on August 10, 1976 at the Goodspeed Opera House. It took a while — as it does with most shows that are in development — for the creative team (the director, playwright, composer and lyricist) to get it the way they wanted it. It took a while also to get people excited about the production, but eventually it went to Broadway in New York, and ran for six years! In 2011, Martin Charnin talked about that initial developmental run of Annie in this article. Annie was made into a movie, as well. If you read the article about Mr. Charnin, you’ll see that he didn’t think much of it! I enjoy the movie, although it’s different from the stage version. 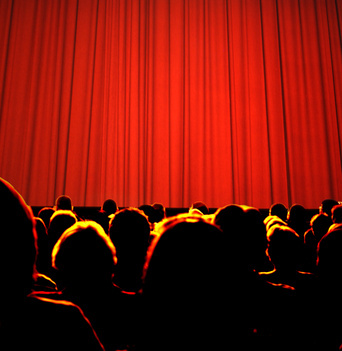 In movies, so much more can be done, and people expect more action and visual excitement than in a play. The story was changed somewhat for the movie, but the basics are still there. We still see Annie yearning for a home of her own, and we still see how Daddy Warbucks changes over the course of the two hours. There are still all the wonderful songs, and there are some fantastic song and dance numbers. One note to younger kids — it’s PG, so check with your parents first, before you watch it. One thing I like about movies is the extras on the DVD, and Annie has some really cool extras, at least on the Special Anniversary Edition that I have. My favorite is the activities — you can sing with Annie (either with her voice playing, or just with the orchestration, as if YOU were Annie) and you can act with Annie (again, either with her voice playing, or with just the pictures playing on the screen while you provide the voice). SO cool! Annie‘s story doesn’t end there, though. Annie, the Musical is back on Broadway! And if you’re not in or near New York, don’t worry — Annie is staged all over North America every year, in schools, in small theatres, in touring groups. Watch for it coming to a stage near you! (Maybe you’ll even get to be IN it!) Besides the link above, you can learn a lot about Annie and the musical’s history at The Broadway Musical Home. Have you ever seen either the stage musical or the movie of Annie? What was your favorite part? If you’ve seen both, did you like one better than the other? I saw the play Annie, performed by the local high school. It was great! That’s so cool, Erik! I hope it’s staged here some time soon — I’ve only seen the movie. I would so love to see it on Broadway! (or even on stage). Although, yes, Carol Burnett is always fun! Thanks, Susanna! Awwww!!! “Annie!! !” This is a wonderful history of it. Have to admit that I didn’t pay much attention to its beginnings but I do clearly recall hearing about the first actress who played Annie (Andrea McCardle) because she’s from a town nearby. Big news locally! I’ve seen only parts of the movie and snippets of the show. Super music! Oh so cool that Andrea McCardle is from near you! That would indeed be big news. I bet you’d enjoy the whole show. Maybe some day!